 His owners have been found!  His real name is Tyson!  The movie rights are exorbitant! 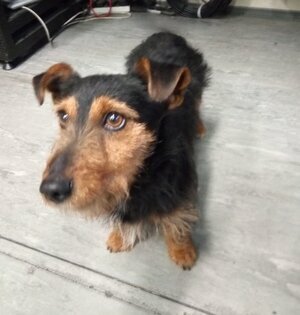 Posted in Misc and tagged found, Hamish, Irish Rail, owner, tyson at 3:44 pm on April 4, 2019 by Bodger. Lose Your Keys In Killiney? 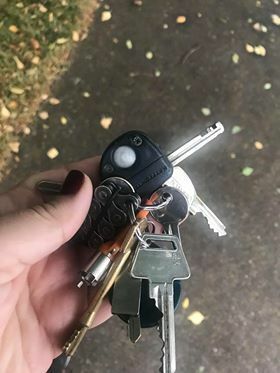 Hi there, I found a set of keys in the Killiney, Co Dublin area and I was hoping you can help get them reunited with the owner. They were found on the pavement at 7am on Saturday morning in a housing estate. There are quite a few keys (see pic) and a USB attached. 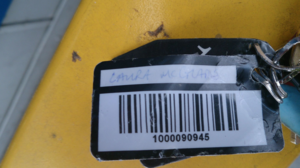 Posted in Misc and tagged Dublin, found, keys, Killiney at 2:10 pm on July 24, 2018 by Bodger. Posted in Comics and tagged found, owner at 8:56 am on January 15, 2018 by Niall Murphy. 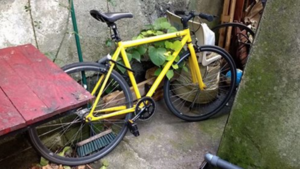 Is This Your Yellow Bike? I found this bike unlocked (abandoned?) in the Drumcondra region of Dublin on Sunday. If anyone can let me know where they left it and the bike’s serial number I’d be eager to reunite it with the owner. UPDATE: Owner located. Thanks all. 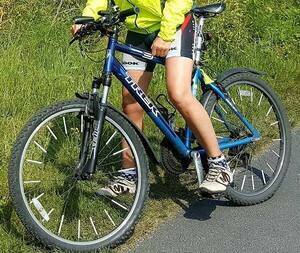 Posted in Misc and tagged bike, Drumcondra, found at 2:43 pm on September 21, 2017 by Admin. 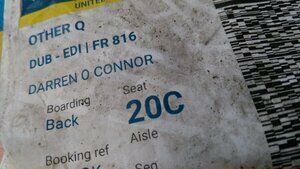 Posted in Misc and tagged boarding card, found, Ryanair at 10:05 am on July 20, 2017 by Broadsheet. Posted in Misc and tagged Bike stolen, found, Leap Card at 10:01 am on May 30, 2017 by Broadsheet. 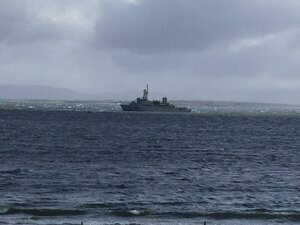 The AAIU in consultation with An Garda Siochana, the Navy, the Coast Guard, the GSI and the Marine Institute wish to advise that following Remote Operated Vehicle (ROV) operations the wreckage of R116 has been positively located on the sea bed on the Eastern side of Black Rock, at a depth of approximately 40m. Operations are continuing but are weather dependent. A statement released by the Air Accident Investigation Unit this afternoon. Posted in Misc and tagged found, R116 wreckage at 2:47 pm on March 22, 2017 by Broadsheet. 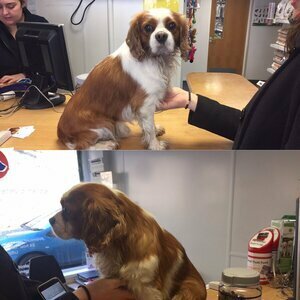 Are You Missing Your Cavalier King Charles Spaniel? Found this friendly guy at lunchtime in Drumcondra. Looks well loved. In Botanic Vets 01-8375543 Please share! Posted in Misc and tagged Cavalier King Charles Spaniel, found at 2:44 pm on January 9, 2017 by Broadsheet. Do You Know Michael Smith? 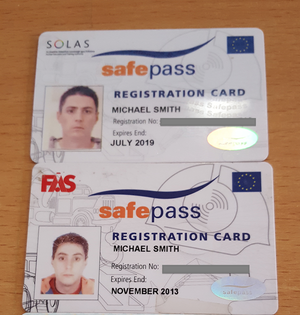 I found three cards belonging to a Michael Smith dumped in a bush outside my office on Grantham Street [Dublin 8]. I’d say he’d be chuffed to get them back as they are all to do with his work. Posted in Misc and tagged cards, found, Michael Smith at 5:07 pm on September 26, 2016 by Broadsheet. 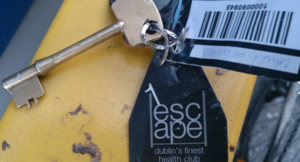 Hi there, I found a set of keys on the road outside the Dental Hospital in Dublin this morning. 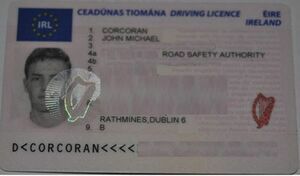 I left them in with the lads at the security kiosk in the vehicular entrance to Trinity College Dublin, on Lincoln Place. Posted in Misc and tagged found, keys, We Don't Normally Do This at 10:24 am on July 21, 2016 by Broadsheet.